Valentine's Day is nearly a month ago, and this year we celebrated this day at Va Bene Restaurant in Windsor. As we were both busy with work (me being away) and the Mr had to study for his exams, we celebrated V-Day a week early! Va Bene Restaurant is located in Windsor International Hotel. The restaurant was not busy at all that night, so it was quite nice to have our personal space. Well, let's start with some entree. 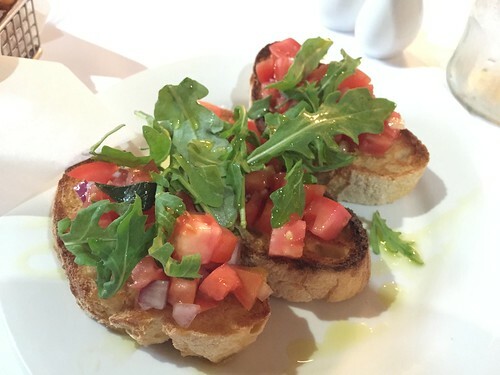 First up, we had the bruschetta. The tomatoes were fresh, well balanced with onions and olive oil. The toasted wood fired ciabatta bread was quite nice too. Next up, we had the calamari. This is one of the highlight of the night for us. For an entree size, they were quite generous in portion. 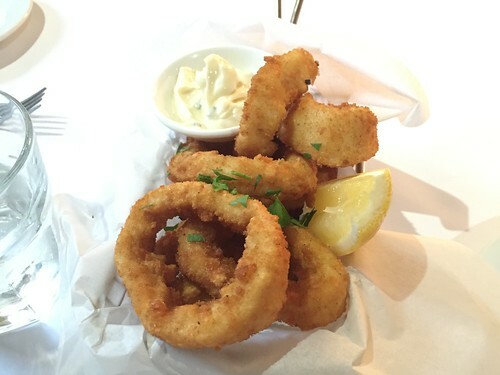 What I love about the calamari was the freshness and they were just cooked to perfection, even better with their homemade aioli sauce. Yum! As this is an Italian restaurant, we decided to try their pizza. Although we had ordered two mains (the waitress did ask whether we can finish everything?? 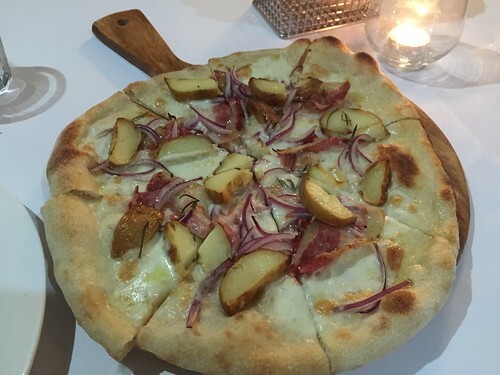 ), we proceeded to ordering the 'Patate e pancetta'. Now, to our main meals.... 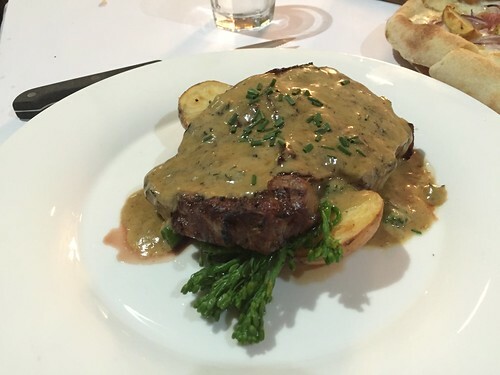 While I went for the safe option of salmon, the Mr had their rib-eye fillet. All of our main meals were served with seasonal vegetables (broccolini) and roasted potatoes. I enjoyed my salmon very much! 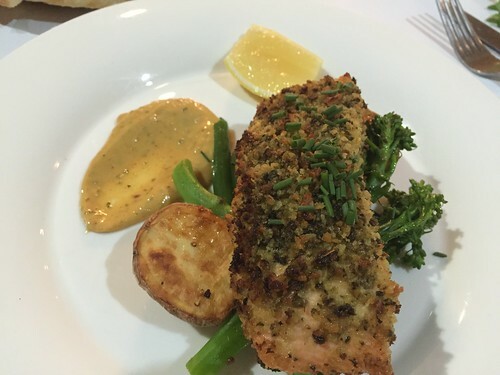 The breadcrumbed herb on my fillet was really good. The additional crunch to the perfectly cooked salmon was moreish... Even the Mr agreed. I just thought the roasted potatoes were quite dry. While the Mr was deciding his main meals, I warned him that the eye-fillet will be served with gorgozola cheese aka the smelly blue cheese... Lol, cause I don't tolerate blue cheese well. Anyhow, he decided to go ahead! The Mr's rib-eye fillet was cooked to his desired medium rare level. Recently, the Mr has been training me to eat beef and been feeding me small slices of his meals. What can I say? I enjoyed his gorgonzola sauce. Thankfully, there were only hints of blue cheese flavour. As for the fillet, the Mr said it was good. I had a small piece and tolerated it well.